Out of all the disciplines of multi-sports events, whilst I discovered cycling second, it is, I confess, my first love of all the activities I am blessed with being able to participate in. The primary reason for this is, every time I hop on to two wheels, it rekindles the sense of freedom & liberation I had as a young boy when I was able to roam the local neighbourhood independently with just my bike and my buddies for company. Ironically, I rediscovered this sense of freedom almost exactly 10 years ago to the day of this weekend’s event. So, please forgive me for getting a little sentimental before I tell you about this ride. I confess that 10 years ago today put me in my late 40’s and made me a relatively late entrant in to the MAMIL (Middle Aged Men in Lycra) community. I entered it as a result of participating in the 2007 edition of Powerman when it was held up in Lumut and still run by Adele & Melody @ Quick Release. 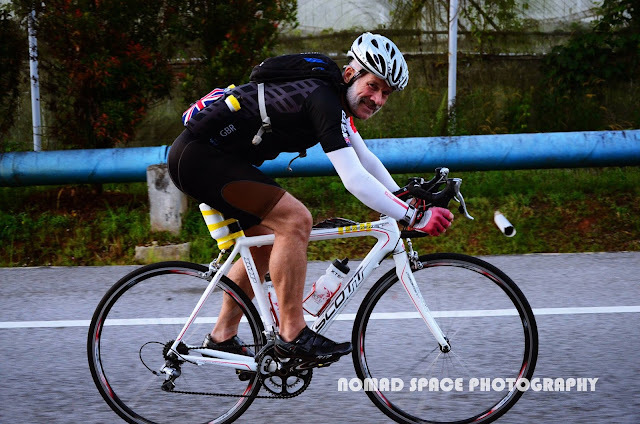 After that experience, as well as getting hooked on Multi Sport events particularly Duathlons, I got the cycling “bug” bad and started riding in as many large cycling events on the road as I could find time to do. Thanks to the guidance and tutelage of experienced cyclists like Tony Harvey & Patrick Povin, they took the time to 'school' me in the power of the peloton which definitely added spice to my relationship with two wheels. I'm never happier than when I'm on my bike. Thanks Nomad Space for capturing this and a few other cool images. The love affair of riding has never waned since. Although, I confess, after an initial infatuation with these large road rides, my enthusiasm for them seriously diminished. This was thanks to the repeated instances of accidents that caused capable & considerate riders being taken out of races and out of action for several weeks, sometimes months, courtesy of the damage caused to both bike and body by the momentary lack of concentration or skills of other less thoughtful and attentive people that formed a part of the peloton they were in. By the middle of 2009, I had realised that what goes on in a peloton and specifically who is in a peloton, is outside of my control. As a result I stopped riding in these sorts of events and limited my road riding to when I was with a small group of trusted friends or when I as doing a short distance triathlon or duathlon, high as rare and where drafting was allowed. I've managed to avoid this situation miraculously but many of my friends haven't been so lucky I'm afraid. A major contributor to this fact was repeatedly seeing good riders taken out on a ride and several more serious incidents on the roads involving riders and cars. Around the same time I discovered Mountain Biking which I consider a serious blessing. As despite it being perceived by most “Roadies” as seriously more dangerous compared to the road. The attraction of this genre of riding, was the fact that, as far as I was concerned, my destiny and ergo my general well-being, as well as my cycling, were much more in my own hands. The reason for this was that generally speaking, whilst rocks, roots & ravines have other inherent dangers, they are, in my opinion, much safer than having to deal with other cyclists in large group race. My rationale for this frame of mind being that these hazards are stationary and therefore their impact on you and what you need to do to safely navigate yourself through them is much more predictable. As a consequence of this mindset I confess that I had not ridden in a large group ride for a good eight years. So why did I decide to change this and do this event? The answer to that was simple. It was my curiosity which had been simultaneously stirred by two endurance athletes friends Ng Seow Kong & Denis Oakley who had discovered a concept known as Les Randonneurs Mondiaux. 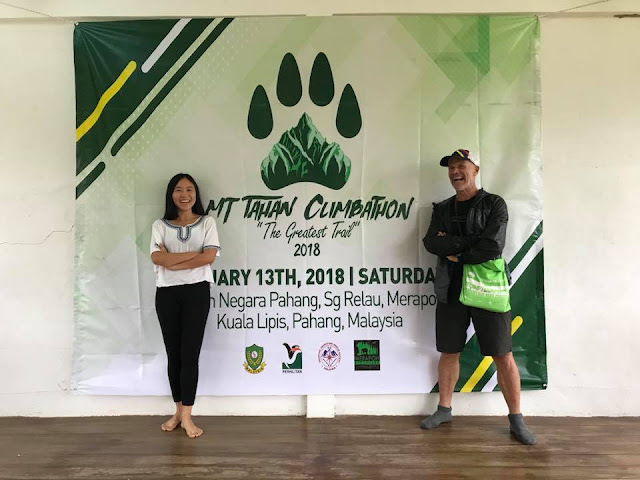 You can find out more about the concept and the local chapters activities at https://audaxmalaysia.com/. 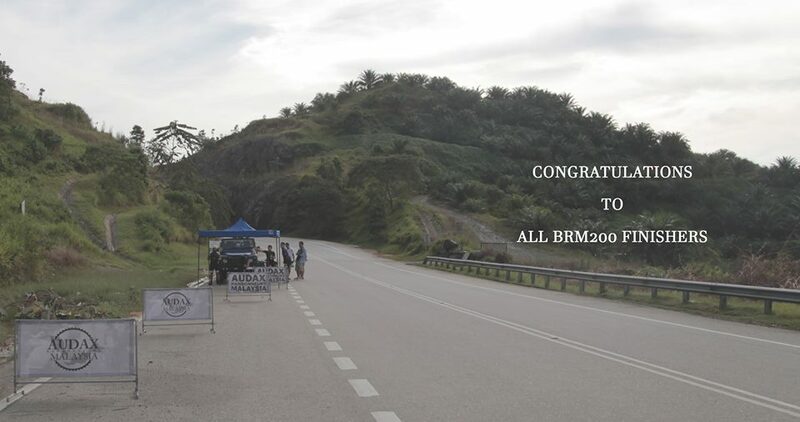 That’s what I did anyway, when I signed up to be a part of the BRM 200 on Sunday, 19th November 2017. Interestingly and somewhat ironically, I knew the bit of road that was being used for this latest AUDAX event rather intimately. As it was were CP2, CP3 & CP4 had been for the Coast 2 Coast run back in August. As a result, I had run, ridden and driven it multiple times. However, I had never ridden up it, descended down the other side of it and then ridden back up and down it though in one day. So, naturally, being the inquisitive beast I am, I was keen too understand what that was going to feel like as well as discovering what that the concept of “Randonneuring” was all about. An added bonus for me was that such a challenge was a great way to assess my biking fitness for my next block of training which was starting on 1 December. 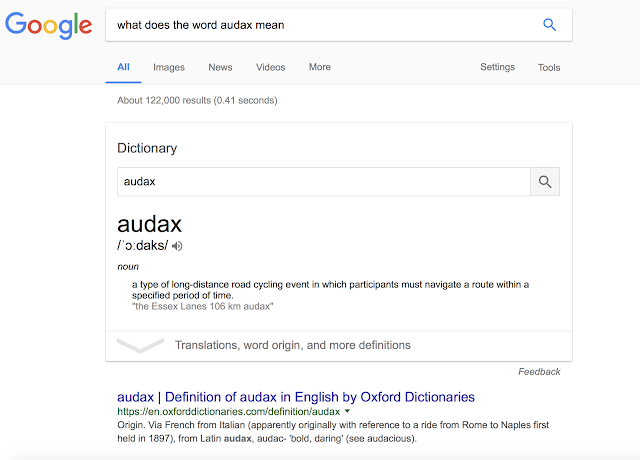 The first impression of the Audax genre of road riding, something that I’ve always felt is important, was I’m pleased to say a very positive one. The whole registration process on line had been easy and efficient with the added advantage that you only paid for what you wanted rather than having to have yet another Tee Shirt or Riding Jersey for the wardrobe. The early morning check in was equally easy and efficient. All you had to do was pick up the event “passport” that would be stamped at the various “checkpoints” (CP’s) along the way. I say, ‘civilised’ because usually at both road and mountain bike events no matter how relaxed and scenic the riding is, it is always preceded with a massive “Bun Fight” at the beginning. Often for several hours before a race starts everyone tries to manoeuvre themselves and their bikes into the most advantageous position possible in the start pen. Some do this because they genuinely want to muscle their way into getting a shot at being in the lead peloton from the off (although usually for most decent races the Race Director has a Lead Car and a predetermined neutral zone at the start of the race course so that the natural pecking order of the lead peloton and stronger riders can be established before the race “officially” starts). Whatever their rationale for trying to get to the front of the race at the start of it, rather than the end of it, there is always an awful melee at every mass start cycling event, which, in my mind, is terribly uncivilised and has been another good reason for avoiding them. Having always prided myself on being a fast learner (a helpful quality I’ve found over the years given the amount of mistakes I’ve made during this period) the first thing I learnt about this event format is that there was none of the usual mayhem associated with the start of a mass participation cycling event. b) the “cut off” time/s is the only thing you are racing against. This basically, meant everyone as free to start whenever they wanted to and from anywhere within the general vicinity of the start location. There was no official announcement about this but the usual stress and testosterone around the start area was noticeable by its complete absence. This nonsense is caused by both the usual "late arrivals" and, what I call, the “waiting in the wings” riders. The "late arrivals" walk nonchalantly up to the front of the pen with their bike above their head and then drop it on top of the toes of people that have been there staking their territory at the front of the pen for several hours. The “waiting in the wings” riders loiter on the edges outside of the pen and simply join the race by dipping under the tape or through a gap in the fence that they had prised open thus slowing the departure of all those that had obediently and legitimately waited in the start pen. The simplicity and ease of this approach to starting an event with 100’s of riders was both refreshing and civilised and I quickly came to the conclusion that randonneuring has all the benefits of a group ride without any of the hassles or headaches. The ride itself continued in this vain as the early morning air was refreshing as was the camaraderie showed by the participants as they were jocular in mood rather than jockeying for a position in the peloton. 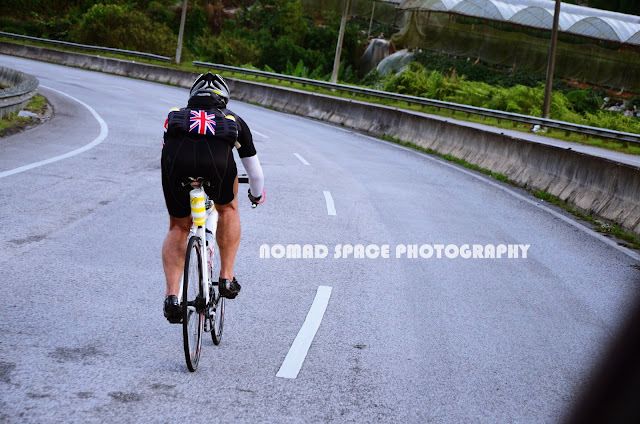 Very quickly and almost unnoticeably the natural order of things established itself and the riders spread out with occasional groups who were working together edging the event ever upwards on the initial 50km or so climb up to Cameron Highlands. On a number of occasions I found myself in one of these small groups and don’t mind confessing that I benefited from the power of the peloton with several decent “pull’s”. In exchange, I did my share at the front of these small groups as did, for that matter, everyone else without exception, which was further evidence of the refreshing and civilised format of this style of event. As usually, there are always a number of riders that never pay their dues to the peloton and are what I have come to refer to as the “pacats” (leeches) of the peloton. As well as there being no evidence of any of this sort of selfishness. There was a general mood of considerateness that I have only ever really experienced before amongst “hikers” rather than bikers. 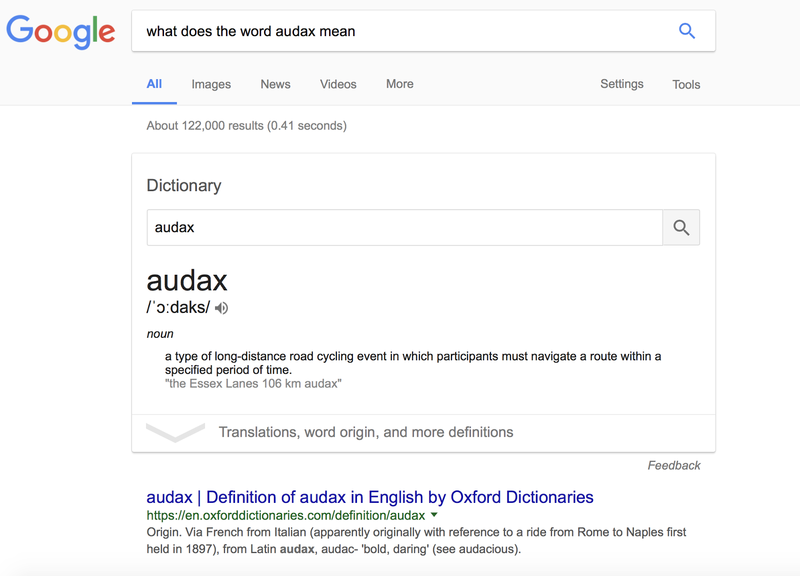 No surprise therefore that when you look up the translation of the French word to ‘randonneur’ you will see it’s literal translation to English as being someone who is a ‘walker’, ‘hiker’ or backpacker’. After reaching the Mosque at Lojing shortly after the turning to descend down into Kampung Raja I knew the next 12km was all seriously downhill. As a result, I gave myself a stiff talking to, to make sure my mind moved from grinding mode to hyper alert mode. As, as welcome as the downhills were, l also recalled that the quality of this road was not great and there would be a big difference to putting my front wheel into a pot hole at 70+ kmph versus your foot when I last descended it on my way to the Coast 2 Coast CP3 at Moonriver Lodge..
Having run the road beyond Moonriver Lodge on several occasions earlier in the year, I also knew that despite the remaining 40km to the one and only CP on this ride being all generally down hill, there was still a lot of climbing to do. What I had not anticipated was how hard these hills would feel. When I tackled them earlier in the year I adopted a strategy of walking them with my pacer for company and the benefit of a support team that was feeding and watering me every 5kms. 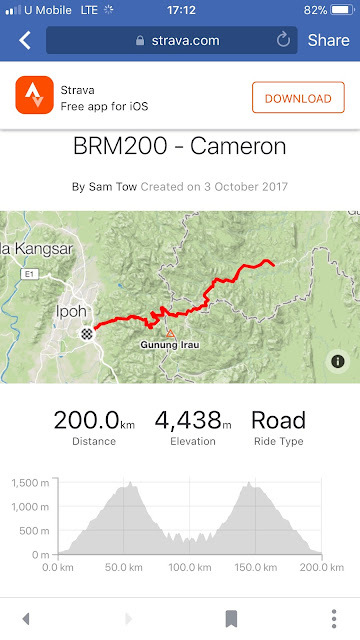 Additionally, I had also taken a decent rest and a good meal at Moonriver to recover from the climb up from Simpang Pulai. This time round though, despite having the benefit of the bike to cut the journey time to a fraction of my previous experiences of the route. 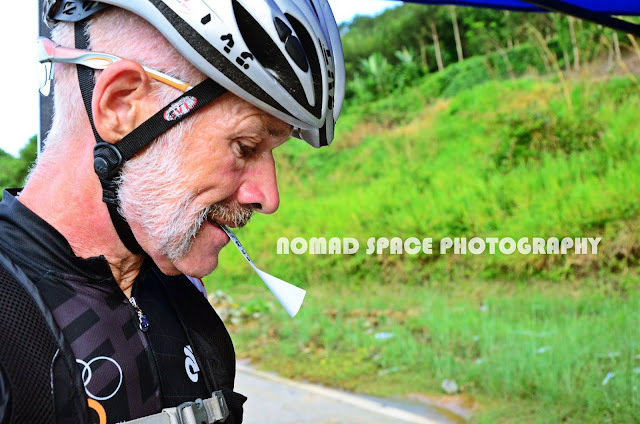 The intensity of riding up and doing so without rest and real food was now definitely starting to take its toll on me. In fact, with the morning heat now ‘kicking in’ and having decided that I had enough fluid to get me to the Checkpoint as I passed the one and only petrol station on this road earlier. I now found myself struggling and rationing my water so that I could eek out my remaining water from the 4 bottles that I had started the climb with. My plan had been to make the Checkpoint and the “U-Turn” and then top up these bottles at a small Mamak store that I knew was either at the turn around point or shortly before it. As a result, it came as quite a shock and, potentially a serious misjudgment, when I saw the Checkpoint and turn around point and realised that the Mamak store at Kg. Blau was perhaps a further 5-6kms beyond the Checkpoint (CP). I had not been tracking my distance and had intended to judge my distance to the “U-Turn” point by seeing riders coming back the other way. Having not seen anyone returning I’d assumed that there was still some way to go so fortunately I still had the best part of half a bottle of water remaining. Surprisingly, I was told at the CP that I was the 8th rider to have reached the turn around point! Hence why I hadn’t seen any other riders returning. More surprisingly, because I knew I was not feeling or riding at my best. I obviously wasn’t so far behind these other riders either as the lead 4 riders were only just leaving as I was getting my “passport” stamped. Fortunately for me, one of the riders had his own support at the CP (this is only allowed at Checkpoints in the AUDAX rules) and after he’d refilled I was able to drain a few vital drops from the last of his water supply with his permission so that I had one full bottle for the return journey. Having drunk 3.5 bottles on the way up when it was relatively cool, I knew this wasn’t going to last me though. So I weighed up the option of either riding on to the Mamak store or hoping I could find somewhere else along the way back for some water. I selected the 2nd of these two options as I vaguely recalled the possibilities of some small Kampungs along the way where I hoped I could find a general store that would be open and have bottled water and possibly some ice. As a result, given the Midday heat being seriously now upon us I chose not to hang around and started the grind back to the Mosque at Lojing which was no my next destination goal. Fortunately, I made the right call as after about 20kms from the U-Turn point and 2-3kms after sucking my remaining water bottle dry I saw a few other cyclists pulled over in a shelter beside a small general store. There was no ice but there was a big fridge which had plenty of ice cold water which I used to top up all 4 bottles (2 water & 2 electrolyte). I also ate some of my rations and took a Soya Bean drink to try and settle my stomach which was by now verging on a serious gut ache. Reminding myself of my Ultra Endurance Mantra of “Relentless Forward Progress” I jumped back on the bike and started to continue the remaining journey to Moonriver Lodge which I estimated was about another 20km away. On reaching here I was down to my last 2 bottles and as soon as the ascent kicked up as it does from here for the next 12kms up to the Mosque I was quickly down to a few dribbles only in each of these remaining bottles. Thankfully, as chance would have it, I found another small store which was also stocked with a good fridge and I was able to top up on cold fluids. Feeling that my core temperature was spiking I also I took the opportunity on this stop to sit in the shade and slowly consume an extra bottle in an effort to bring down my temperature. Whilst there several other riders passed me and this was a really tangible sign that I was entering a personal “sufferfest” as usually climbs are my strength and very few people pass me. Shortly after I restarted several more riders rode past me as I was reduced to a rather miserable grind up the remainder of the climb back up to the Mosque. This seemed to go on forever despite my knowledge of the road and by the time I crested the ascent at Lojing Mosque I was in survival mode and feeling way, way worse than I recall when we were at this point in our Triple 8 challenge. Fortunately, I knew that the BHP petrol station was now only a few kilometres away and I was able to reach there and recover slightly. The stop as brief but a relief in more ays than one and, knowing that resting here too long ran the risk of me locking up from a combination of both stomach and leg cramps, I asked Denis, (well actually, no I reflect on it, I told him really) if he was OK to press on immediately as I was in my “Relentless Forward Progress” mode and eager to get the job down. Denis who I'd started with and who I intended to finish with was one of those riders that had passed me on the ride back up to the Mosque. He as looking really strong at that point but as clearly taking a well deserved rest like a handful of other riders. Nonetheless he jumped back on to his bike and off we went to finish hat e had started. The majority of the remaining 50km was descending which was just as well because I was actually struggling to pedal without getting out of the saddle to protect my increasingly sore rear-end. 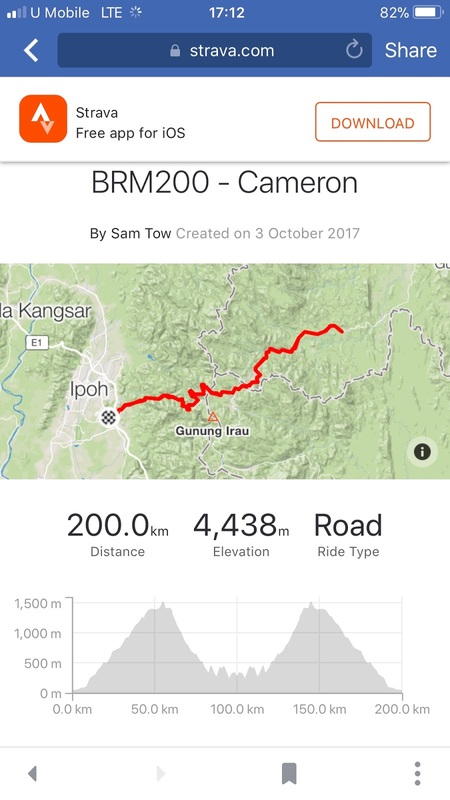 That said, despite needing to pedal, it was a serious relief to hit the flats and the dust of the limestone quarries that line the road into Simpang Pulai, as at this point, I knew we were all but done. It was an even bigger relief to get the “passport” stamped at the final checkpoint and to order a fried rice at the Chinese Restaurant where the designated finish line had sensibly sited itself. In the end, our check in time was about 2 hours inside the cut off time and surprisingly I had only dropped one place from the turn. As my finishing position was confirmed as 9th. The other riders that had passed me on the climb must have chosen to rest more at the BHP Garage as in the end I only lost this place in the last 10km when I was caught and passed by a young rider that clearly, unlike me, had plenty of gas left in his tank. I was able to stay with him on the twisting descents but as soon as we were on the flats he pulled away from me like I was standing still. Knowing that Denis wasn’t far behind me at this point I cruised along until he caught me up so that we could finish as planned.